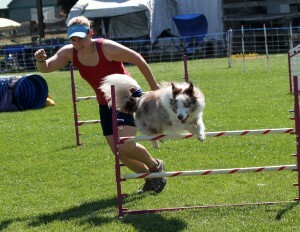 Rear crosses are an essential handling move for any agility team! Knowing how to do rear crosses will help you be a TRULY well rounded handler, even if your preference is to be ahead of your dog on course when possible. Even though I can often beat my dog to places on course, there are a lot of times when it really makes sense to do a good old-fashioned REAR cross. Yes, front crosses and blind crosses seem more fashionable at times, but, even so, knowing how to do rear crosses will help you be a truly well rounded handler, even if your preference is to be ahead of your dog on course when possible. And, I can't ALWAYS beat my dog to places on course! I need to be prepared to handle my dog as effectively from behind as I can from in front! 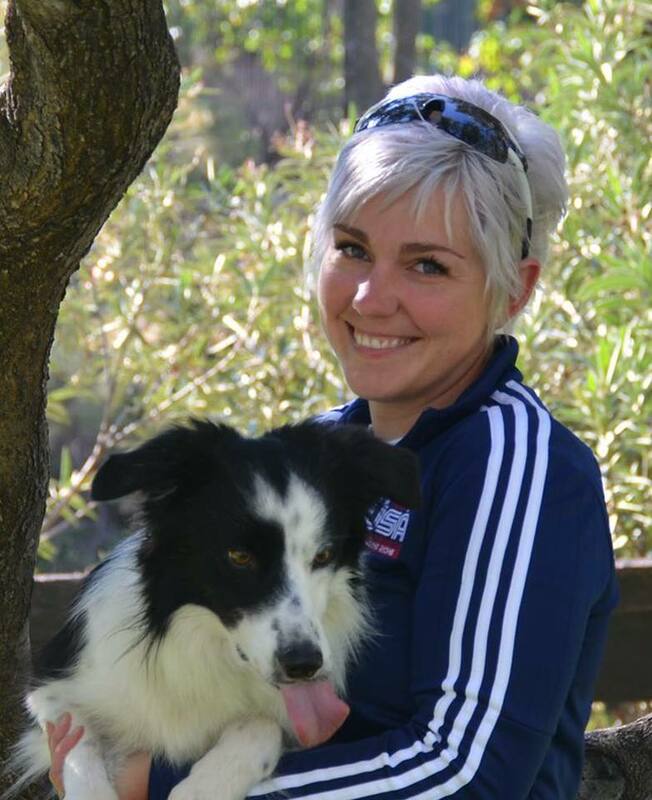 Whether you NEED to do rear crosses because of your speed relative to your dog's speed, or WANT to do rear crosses for any of a variety of good reasons, this class will help you and your dog's understanding. Scroll down to read more and see the course outline! Why you might want to do rear crosses even if you ARE fast enough to stay ahead of your dog! What Dogs Can Take This Course? Because I'll be starting with foundation, as long as your dog is old enough to jump, then your dog is old enough and skilled enough for this class! I recommend that your dog be around a year old and have started a jump training program prior to starting this course. Is This Course Worth It? Ask yourself - how many runs have you had where lack of skill with a rear cross cost you a clean run? One? Two? Ten? How much did each one of those runs cost you? Fifteen dollars? Twenty dollars? It adds up! Don't let lack of skill with rear crosses cost you any more time, frustration, or money! Think of this course as a seminar focused specifically on ONE topic - REAR CROSSES. A seminar that lasts for MONTHS instead of just a weekend!! Progress takes time, and often a weekend isn't enough when it comes to learning a new skill. In this course, you can get feedback for up to six months on your progress, ensuring that you've REALLY mastered the skill of rear crosses! Take a look at the syllabus for this course! OFFERED ANYTIME - ALL THE SAME CONTENT! This is the way I teach my own dogs to do rear crosses, AND how I teach my students! Why? Because it WORKS! If you've taken Rear Crosses 101 - leave a review by clicking the button below! What Students Are Saying About This Course! This course showed the how, why and where of Rear crosses. I not only understand the mechanics but also how the different types of rear crosses change my dog's path of travel. I highly recommend this class.